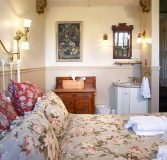 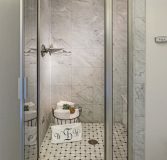 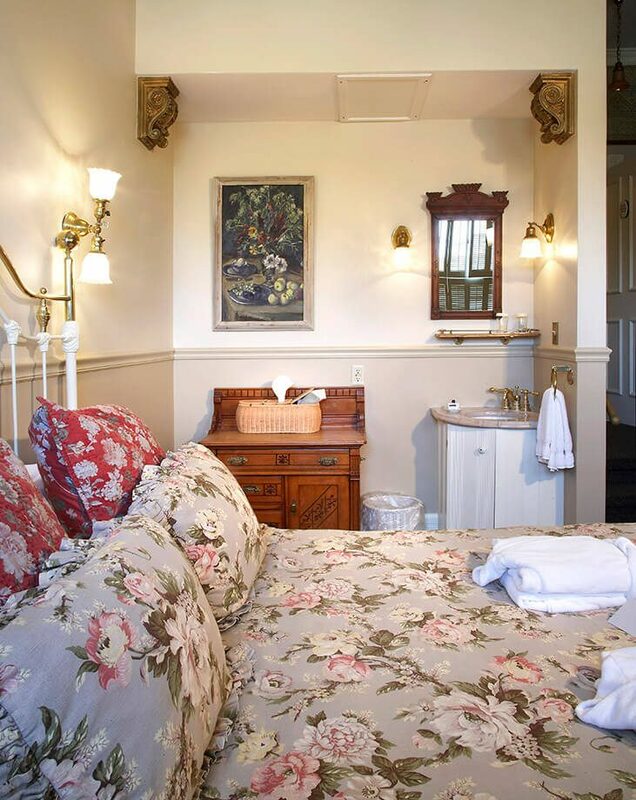 The C. Friederich Boerner room offers a spa getaway experience with a walk-in tiled steam shower; the ultimate in relaxation for you romantic getaway near Milwaukee. 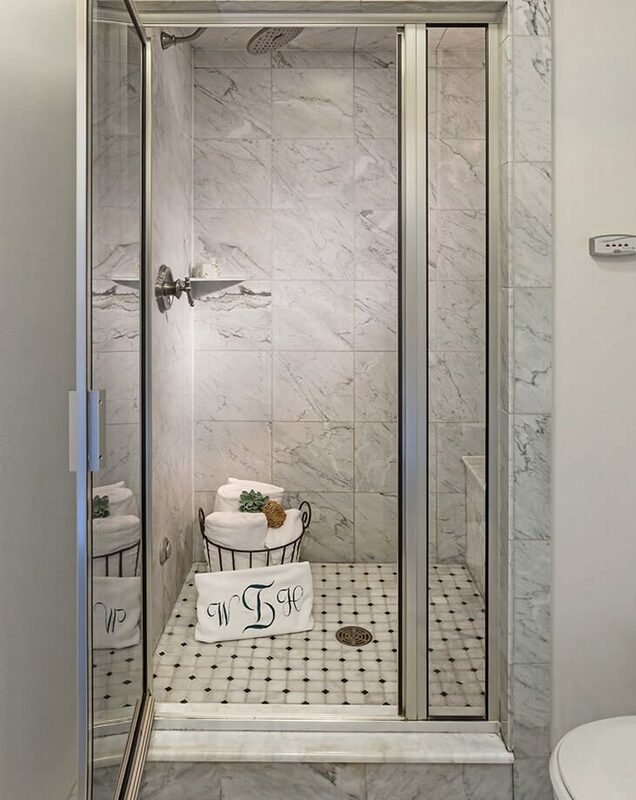 Choose a warm, fuzzy robe to lounge in afterward. 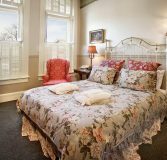 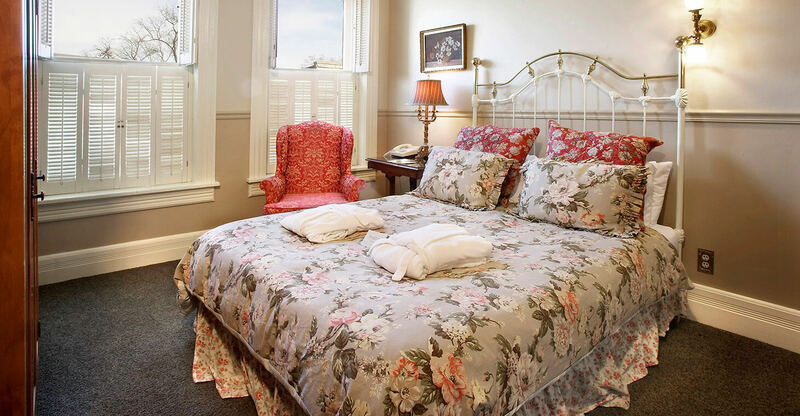 Features hand-screened frieze wallpaper, Victorian décor, large windows and a comfortable queen bed add to the charm of this room. 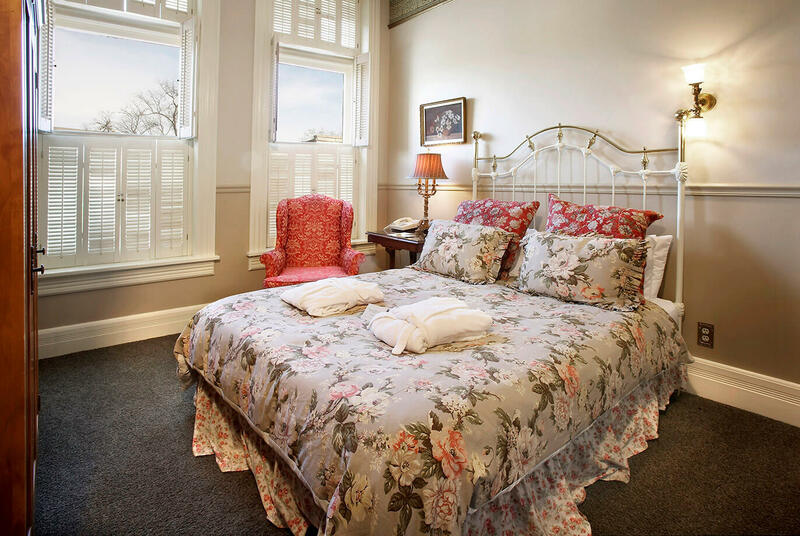 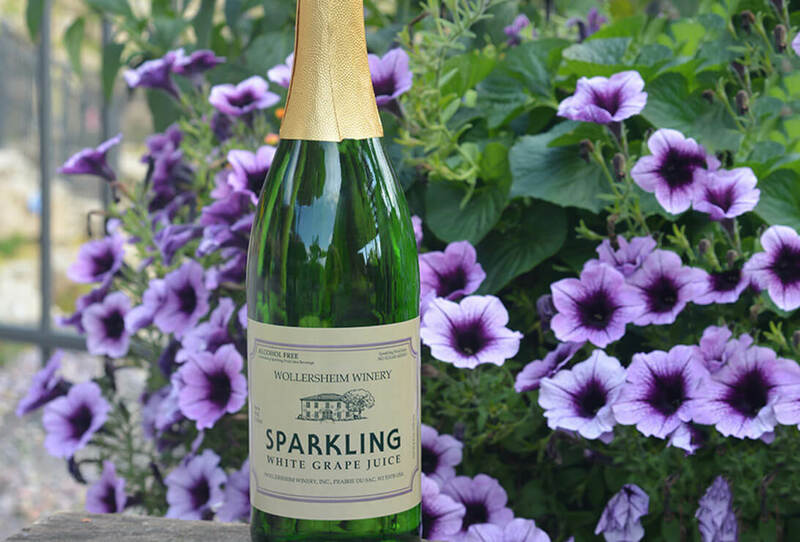 Join us in our beautiful Cedarburg, WI bed and breakfast.